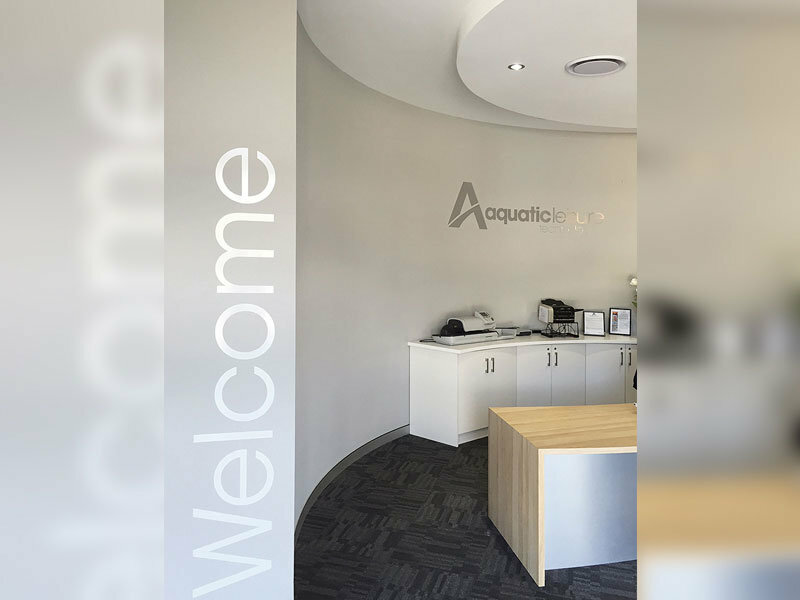 Aquatic Leisure Technologies commissioned us to provide graphics and signage for their new head office fit-out in Jandakot. The brief was to create an attractive workspace that fosters workplace culture. The graphics also had to deliver safety requirements for the wall to floor glass offices and create functional privacy areas. We worked with Aquatic Leisure Technologies to provide a range of signage and window graphics solutions to meet the brief. 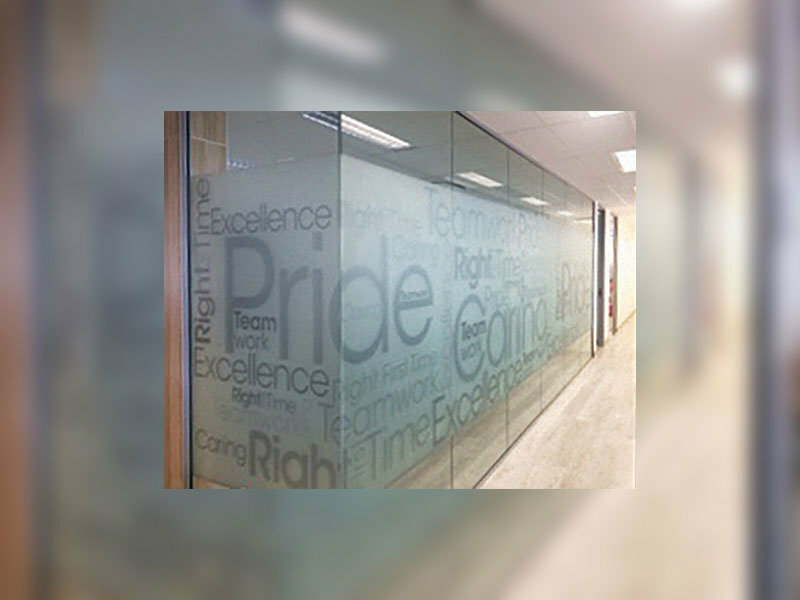 The suite of window graphics and signage all came together to create a visually appealing workplace to give a great first impression with visitors. 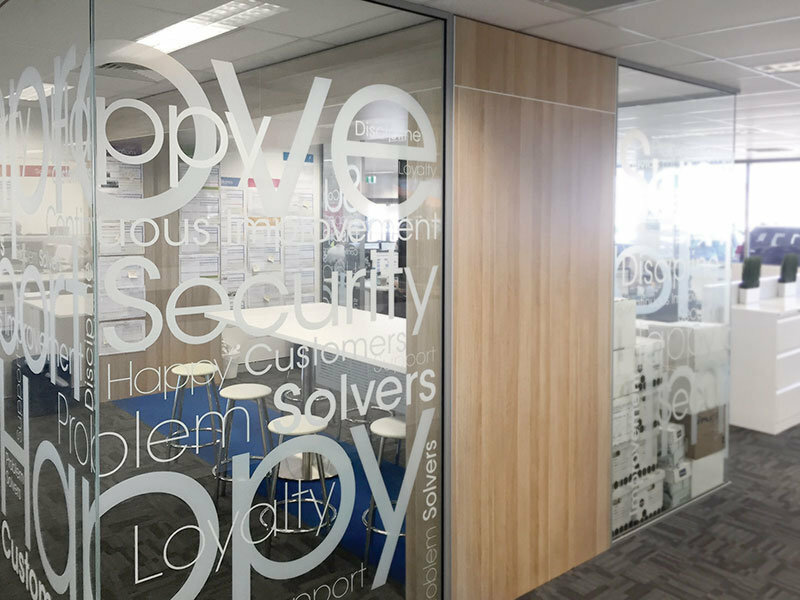 The internal meeting area windows created a new medium for delivering corporate values designed to inspire staff. Frosted meeting rooms and doors created privacy areas while graphic panels on the glass offices delivered on building safety requirements.